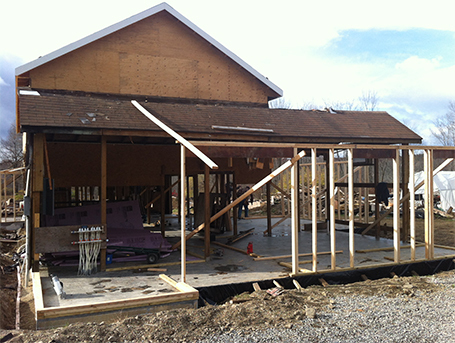 BUILDING NEWS: Renovation Update November 2014 - Framing in and the Big Dig! 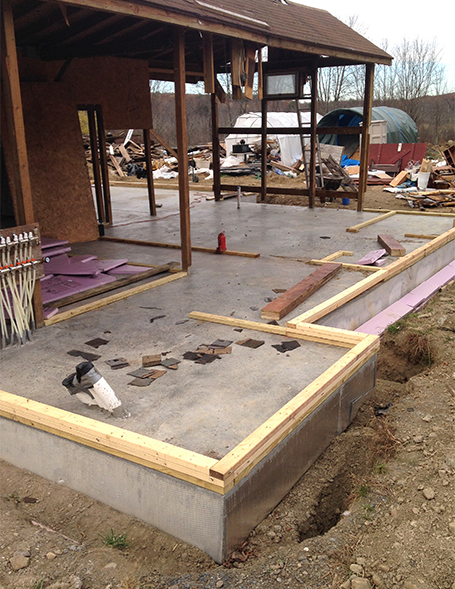 Now that the concrete floor has been poured (hooray!) 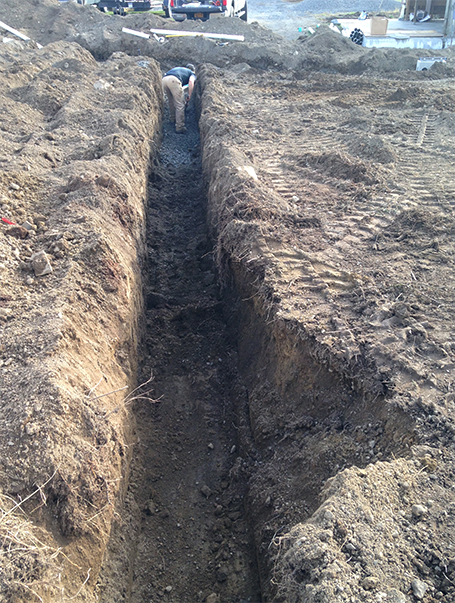 it's time to insulate (at the ground level). 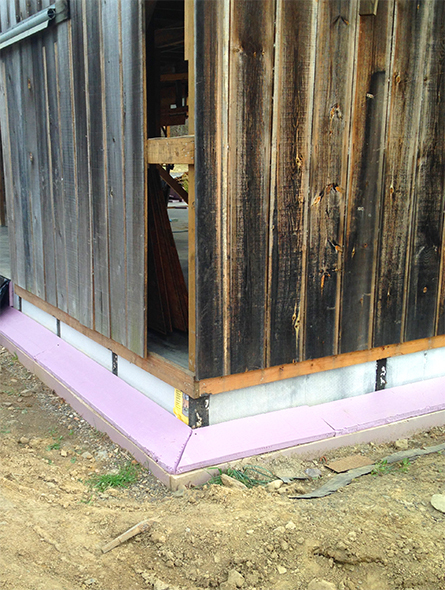 Pink, rigid insulation has been place around the entire perimeter of the 10 Horse. 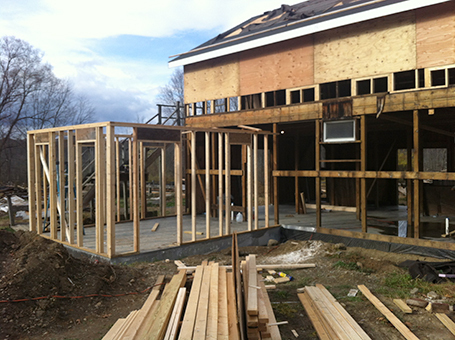 Rough framing has also begun for areas that were removed to allow access for the concrete trucks and for some areas that needed to be reinforced. 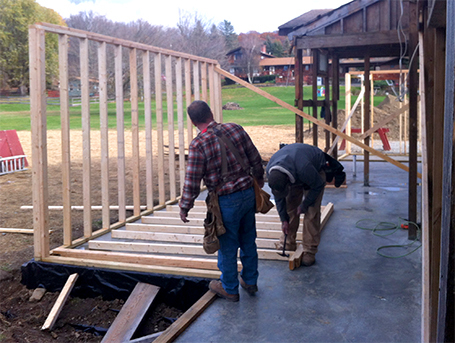 Carpenter Jim, and his son Eli, are expert framers and bit by bit the new walls go up! And don't worry about all that beautiful antique siding on 10 Horse, it was carefully removed and is in a protected location until it's time to reattach over the new framing areas. 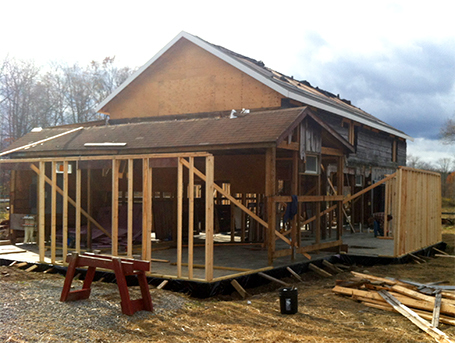 The Pottery Studio begins to take form on the southwest corner of the building. And we already have a Ceramics artist waiting for it's completion! 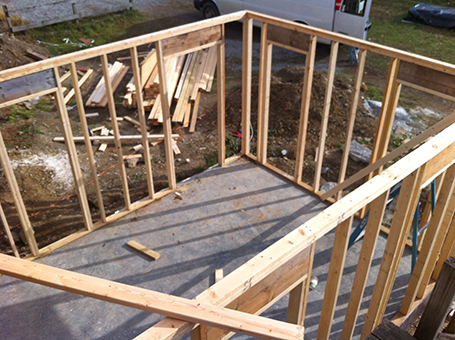 The entryway of the building is re-framed on it's original footprint and will have a much larger, wider opening into what will be the exhibition hall. 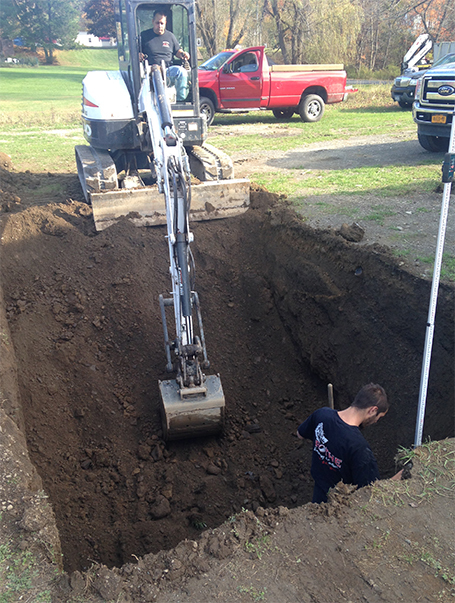 While the framing is going on, we've also been doing a Big Dig for installation of the new septic system. 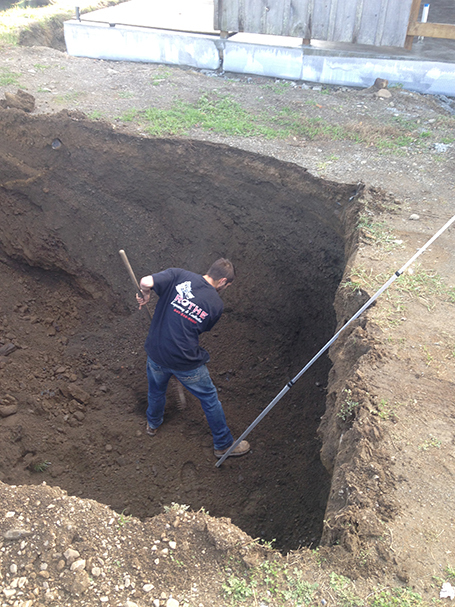 Although we've been able to use a machine for some of it, all the fine tuning has to be done by hand. 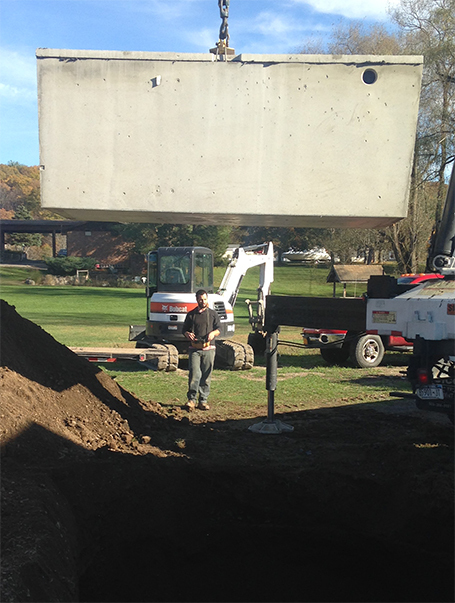 The enormous concrete tank is lowered by crane into the ground and underground pipe lines are attached to reach out to the leach field. 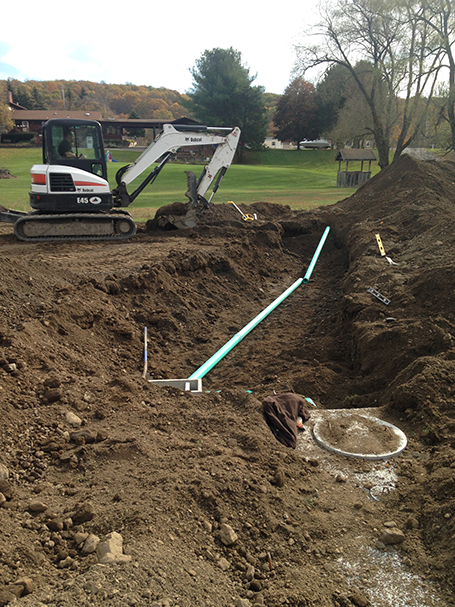 The leach field is a series of long underground pipes that distribute the outgoing water. 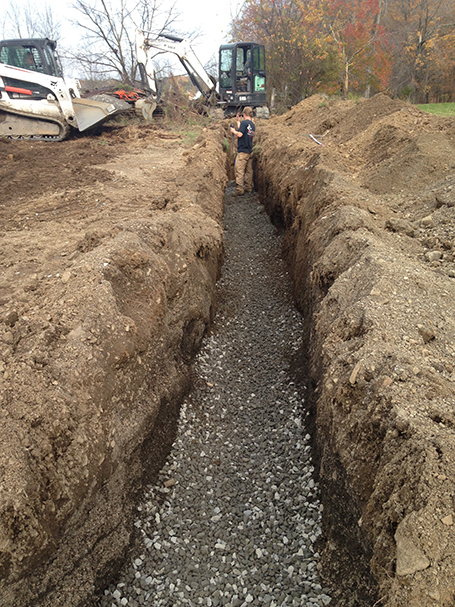 Although a machine was used for most of this trench digging, we're still amazed at how much has to be done by hand, including leveling out the gravel after the pipes are installed. Whew! It's a good thing the weather has been cooperating over the past few weeks. 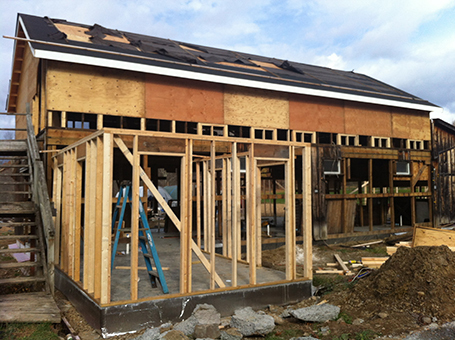 Since the weather is slowly getting chillier we've made sure to order all the windows for 10 horse (and there are a lot because artists need a lot of light!) to close in the building as soon as possible. Hopefully the next update will show us snug as a bug in a rug!